Leaving Como, Lezzano, also known as a residential centre, is the last town you come across before Bellagio, which is about 5 km away. 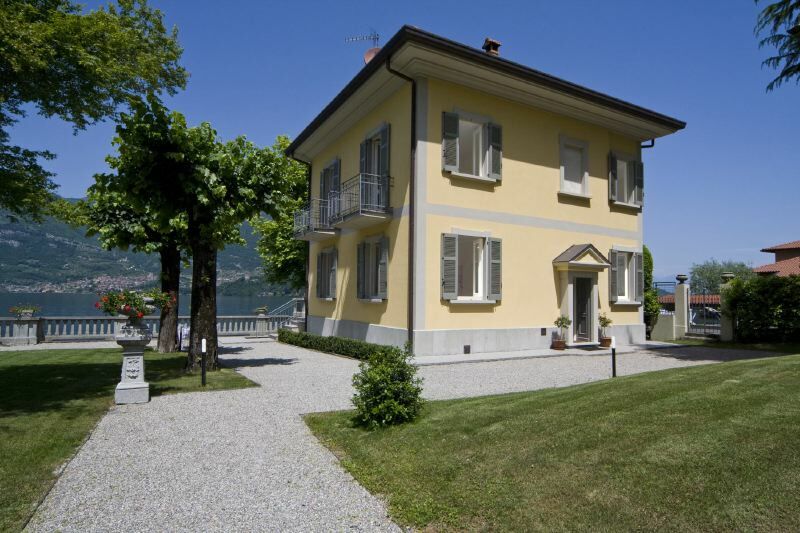 Villa Lucia is spread out over three floors set directly on the shore of Lake Como. The beautiful private garden (800 m2) and the large terraces overlook the lake and offer beautiful panoramic views and peaceful relaxing areas. You can also directly access the pebble beaches when the level of the water allows it. The terrace situated near the dining room has been equipped for outdoor dining and is a place where the silence is only broken by the gentle sound of the waves breaking below. The villa is very well equipped: dishwasher, laundry room with washing machine and iron, satellite TV, DVD player, hair-dryer in all the bathrooms, 2 bikes, 2 canoes, barbecue near the dining area, wireless Internet connection. Membership to the Bellagio Sporting Club, with swimming pools, tennis courts and restaurant, is included in the price. From the villa you can walk to Lazzeno, where you can find grocery shops as well as boats to reach the nearby towns along the lake shore. Don't miss a tour of the Burberi cave and the Azzurra cave. 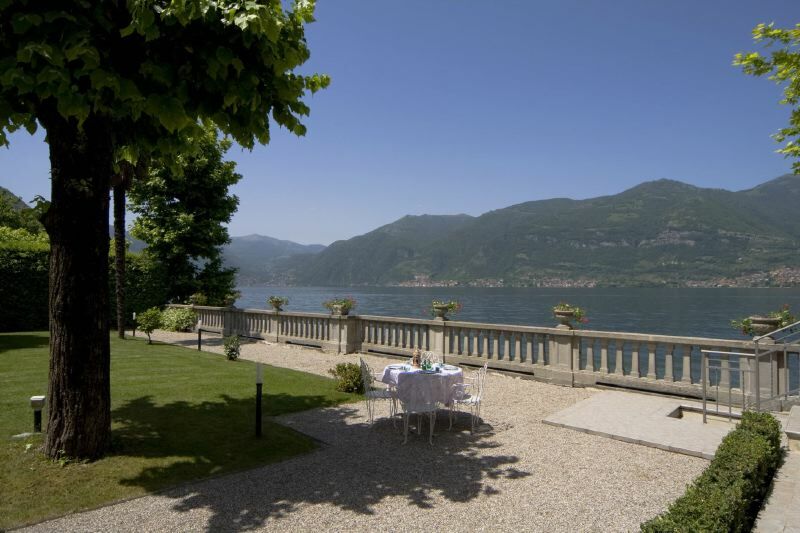 Lake Como also offers genuine and tasty gastronomic products, one of the many treasures that Italian cuisine offers. Como is about 30 km away, Milan 80. GROUND FLOOR: living-room with dining-area with access to the terrace overlooking the lake; large dinette kitchen with oven and dishwasher, also with access to the terrace overlooking the lake; 1 bathroom with shower. FIRST FLOOR: 1 double bedroom with queen-size bed and terrace with lake view; 1 twin bedroom (the beds can be put together) with panoramic terrace; 1 double bedroom with queen-size bed and private panoramic balcony; 1 bathroom with jacuzzi bathtub and shower cabin. SECOND FLOOR (under the eaves): 1 double bedroom (double sofa-bed) and small living-room; 1 bathroom with shower.